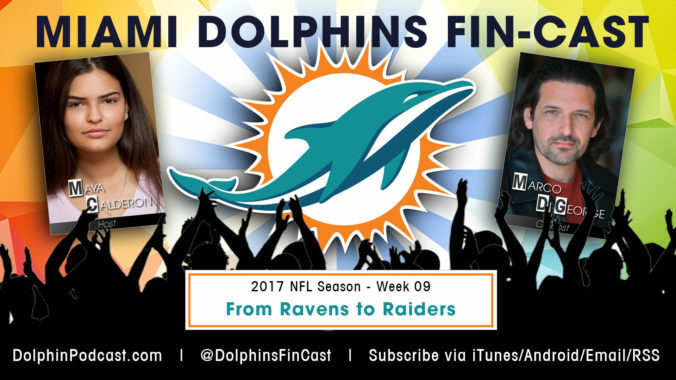 November 1, 2017 – Ravens 40, Dolphins 0 – In this episode, we talk about the Dolphins’ horrible shutout loss against the Baltimore Ravens. In addition, we talk latest Dolphins news (including the shocking trade of Jay Ajayi to the Eagles). We will also discuss the latest NFL news, review the NFL scores for Week 8, and give you our Picks of the Week, where we run through our thoughts for every game in Week 9. Go FINS! TRUTHFUL TALK is designed to have human level conversations about the world around us, as hosts Marco and Samantha DiGeorge explore the human condition and engage in compelling and thought provoking topics. And whether you agree or disagree with us, just be with us!